What Does Balsamic Vinegar Taste Like? Balsamic vinegar has a dense, syrupy-sharp taste. It's rich in 'dark' flavors, not as acid tasting as wine or other vinegars, or as sweet as port - though like port wine it too matured in wooden casks. 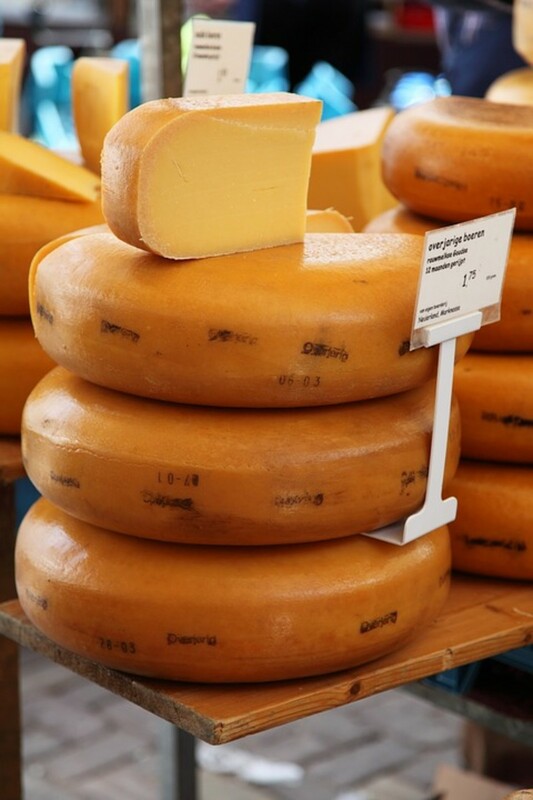 It's almost pungent tasting, (though stops short of musty) taking a different, richer route to the senses. It's a flavorful ingredient for cooking meats (especially fowl and game) and vegetables - as well as a cold 'vinegar' for salads of many types. I've enjoyed using it for years, ever since living in Italy where Balsamic vinegar comes from. It's used a lot for everyday cooking here. (Modena is the name of the town, in the province of Emilia Romagna). My article has three tasty recipes; all of them are rustic, European and quickly thrown together - so please excuse me if the timing and the measurements are approximate. Even my cooking times, though none are very far off, can be adjusted along the way. None of these recipes come out the same way twice and you can't go wrong experimenting. Cooking, once you know how, is all about being practical with the ingredients you find in the stores, in your market garden, or in your refrigerator. As long as your ingredients are fresh and you aren't heavy handed with them, a little extra virgin olive oil, a little salt, some of the hot stuff and often a little Balsamic Vinegar will make everything taste delicious. 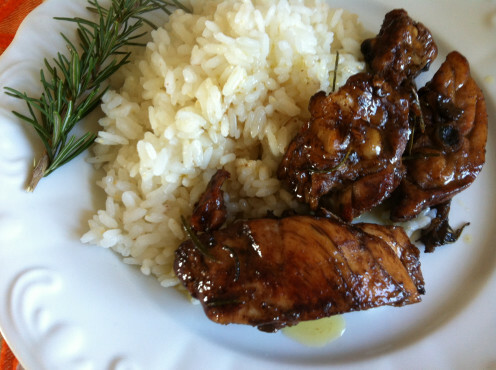 The balsamic vinegar will evaporate, leaving the olive oil but if you don't think the chicken is cooked enough, then you add the water from your cup and cook until it is reduced enough to your liking. Did you know this about aceto balsamico? Balsamic comes from the Greek word meaning curative, restorative. True 'vinegar' is made by reducing Trebbiano and Lambrusco grape juice. There are three grades of Balsamic Vinegar. 1. Authentic artisan which has a DOC certificate for it in the EU - 'Aceto Balsamico Tradizionale'. 2. A commercial grade produced on an industrial scale. (I cook with this one). 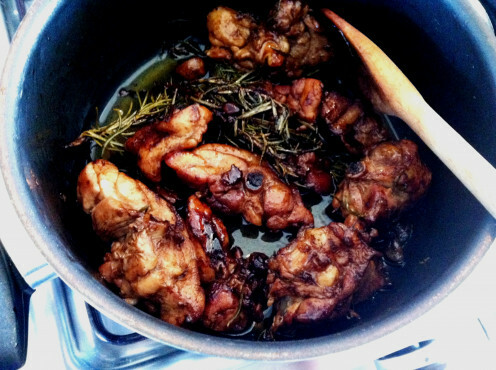 Using balsamic vinegar is Chicken Cacciatore makes flavorful cooking taste as easy as that, presumably because when a hunter came in for his meal he was hungry and wanted his bird cooked quickly - and taste worthy of his hours in the hedgerows hunting! Buon appetito! I've read it's a dish that goes back several hundred years, which doesn't surprise me in the least because the ingredients, which are basic ingredients for Italian cooking, have been around that long too. There are elaborate recipes around using broth, tomatoes, even mushrooms and I'm sure they are tasty, but to us, the above is just great. It's the one we are used to! You could add a handful of black olives towards the end of your cooking - to turn it into dinner party fare. A trip into the cooks world of balsamico! The autumn weather brings with it new cold weather root vegetables, as well as many crops of greens. 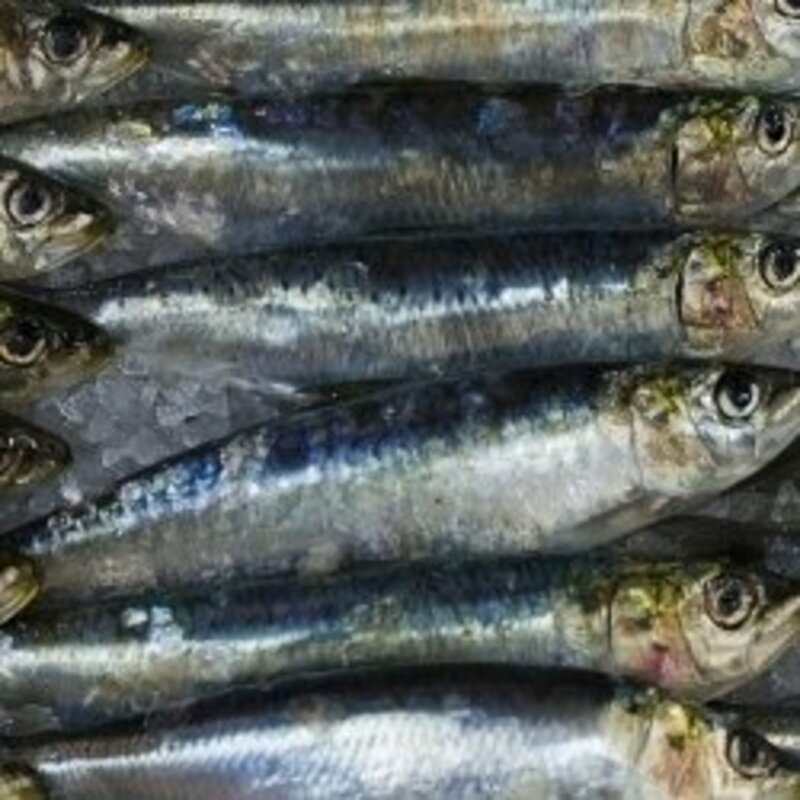 Sturdier and hearty (and good for you), usually eaten cooked, they warm and nourish our colder bodies. I like the bright vermillion vegetables for their color (and wintry tastes), as I loved the pumpkin for its color and Halloween associations (and lemons and tomatoes for summer brightness). Oh it's just being human, but that bright scarlet on a dish is exciting and unusual - and warming on colder days. 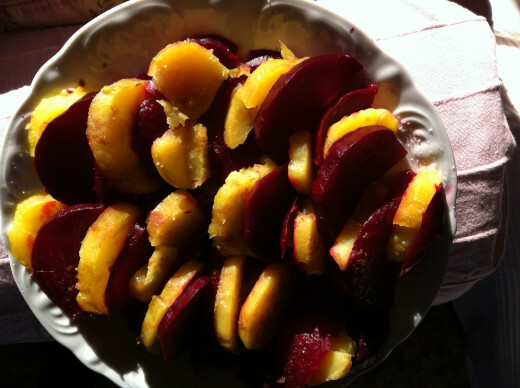 The recipe below is for a simple winter dish Beets and Potatoes. The essential ingredients here, aside from the balsamic vinegar and the extra virgin olive oil are the beets and the potatoes. Try to buy organic produce because they are better for you and also because they have stronger earth tastes. Whilst you heat your oven to medium/low, wash and dry your potatoes. Take the tops off your beets and wash and dry them too. Wrap them all up in tin foil. Bake for at least an hour, (2 hours is fine also) until a knife goes through a potato like it's nothing. Take them out of the oven and slice them into rounds, whilst they are still hot. Alternating potato with beet lay them alternating a platter (as you see here in the photo). Pour the extra virgin olive oil over them evenly. Pour over the balsamic vinegar. You can eat this dish hot, warm or tepid. You can also sprinkle some finely chopped parsley (I like mine just vermillion and white). It's very good eaten with other salad dishes as part of a buffet, with a cheese platter, with roast duck and strong flavored meats and also at a barbeque. 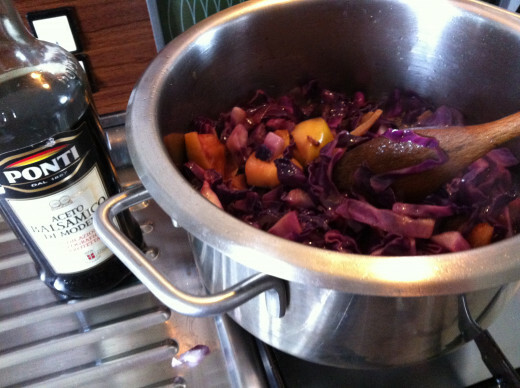 Using balsamic vinegar in cooking, there are delicious ways to preparing red cabbage and apple and I make a special one in the oven over Christmas, which takes time. 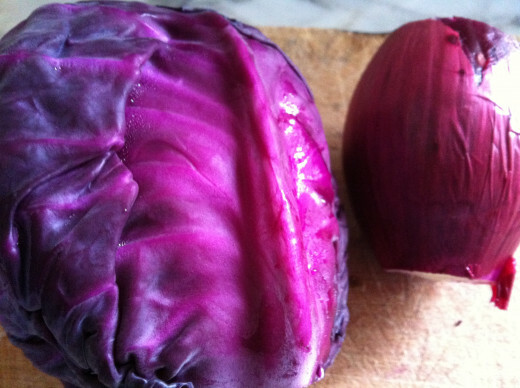 If I see red cabbage around in the markets I have to get one and then, I have to make it. 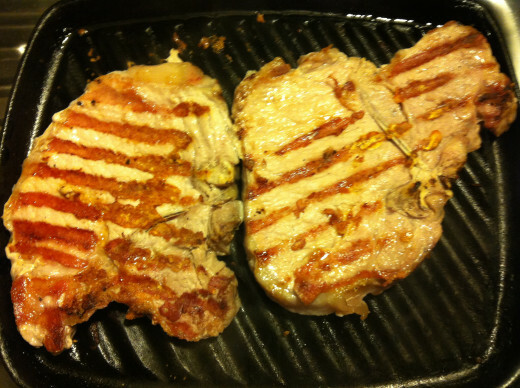 For a quicker version that is really good to eat as a side to pork chops say, or sausages, this is how I make it. (The ingredients are approximate but more or less OK and it would make a vegetable dish on the side for 4/5 people). It's good served hot. Wash the cabbage and slice it thinly. Chop the apple (with the skin is fine). Cut the bacon up into smallish strips. In a medium sized pan, heat the olive oil. Cook the bacon in it and add the onions before the bacon is too crispy. Take the bacon out and hold it to add later on. Add the cabbage when the onions are transparent and salt and add the water. Cook for about 5-10 minutes on highish heat. Add the apple and adjust the water level so it's not too dry. (A little water at the bottom of the pan is fine). On a slow heat, cook for about half an hour, until the cabbage is very tender and there's not much liquid left, though it isn't dry either. It might take 40 minutes. Add the bacon. Stir. Leave for about 5 minutes with the heat off. I went through all the recipes as they're really interesting. Your recipes are very easy to follow so I will give these a try. It's nice and easy too Riviera Rose, any one of them. Thanks for you comments. You aren't too far away I see? I want to make all three of these recipes - now! The chicken especially looks scrumptious! Hope you find a tasty balsamic vinegar that's not too too expensive and hope you make a great Cacciatore. Have you got the fresh rosemary too??? I do appreciate your share and comments, thank you Steph. Your photos are mouthwatering! I love Chicken Caccitore, and its been years since I've made it. Love the extra information about Balsamic Vinegar. Tried to 'follow' you just now but problems with iPad I think. I'd like to. Thanks for your interesting comments - I think I'd prefer to use wine with game, but balsamic ( white or dark) would be good too, I'm sure. reads well, I'm sure it is a very tasty recipe to follow. 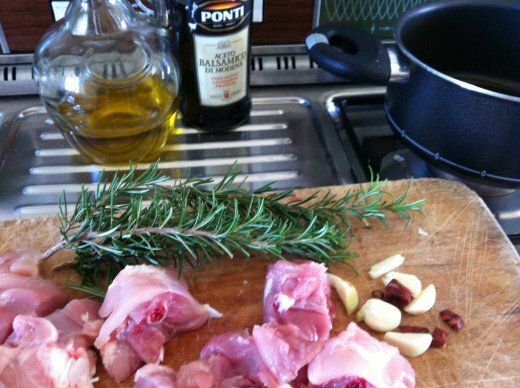 HAve you tried white balsamic in your cooking? I love it for pickling too. collegedad asked about using game in the same way, I have used it for both with my cicciatore recipe. I think those birds are game- flavourful so red wine might be better, with juniper berries! Thank you for sharing cooking ideas here. Appreciated. Interesting. 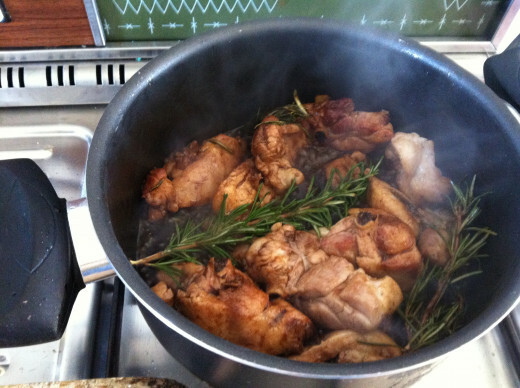 We are constantly looking for new ways to cook chicken. I wonder if this would work with Pheasant or Grouse? Please tell us which soup?? I so totally agree with you about balsamic vinegar ! It's amazing- I have a favorite soup that I use it in. prasetio30. Buon appetito you and your mom. It's the beetroot season and the red cabbage season too, so now's a great time to make the vegetable recipes with her. Thanks you so much for votes. vespawoolf. I hadn't realized these were old-world recipes but maybe they are! Love seeing you here. You're so great for commenting and I do appreciate it. I do hope you really enjoy these dishes. These recipes sound delish, especially the red cabbage. We use balsamic to dress our salads but I like the idea of cooking with it. Thank you for sharing your old-world recipes. Wow...this was good information. I love the recipes here. I'll share with my mom. I hope I can make it soon. Thanks for share with us. Voted up and YUMMY! Hi! I put the beets in the tin foil, just washed (and topped). The peel slips off when they are cooked. (cook them slowly for a very long time). Hope you really enjoy these Susan. It's so nice of you to comment. More recipes to try. Can't wait to taste all of these. For the beets and potatoes, do you peel the beets or just wash and use them as they are? Come on over!!!! Come on. I made a delicious ragout today and ate it with fettuccine for dinner. Boy would I love to come to dinner at your house. Your recipes are always wonderful! That red cabbage recipe looks delicious. Pinned! Ciao Angie! Come stai? Thanks for dropping in and lets hope you're cacciatore is wonderful, (with balsamic vinegar it's super tasty super quickly). I love using Balsamic Vinegar in recipes, GL so these recipes are now tucked safely away in my computer Recipe Book for future reference. It is a very long time since I made Pollo alla Cacciatore so thanks for reminding me about it … and the idea of using Balsamic Vinegar in it. Balsamic vinegar is really worth exploring. 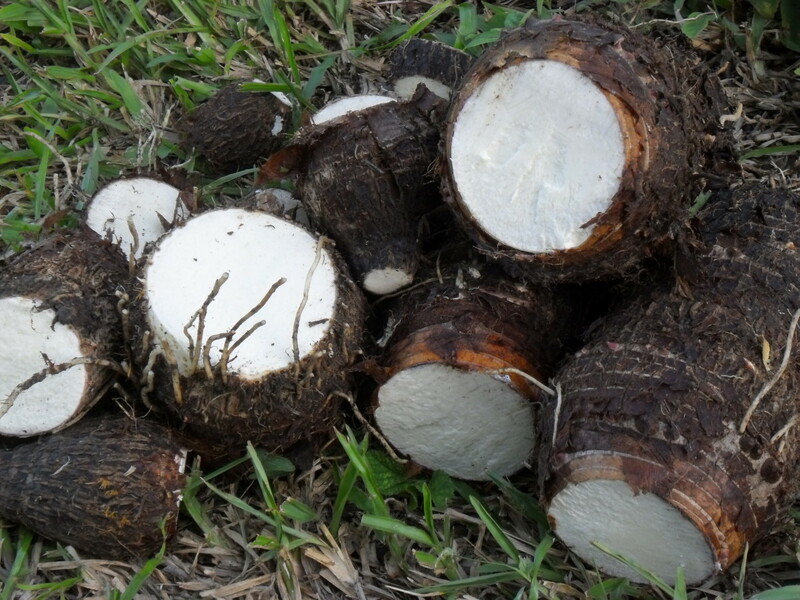 There are varieties that taste good for cooking which don't cost an arm and a leg. I've used a little of it making ragout for pasta when we didn't have wine and it worked just as well. If you prefer vegetable dishes, then you have to try these dishes out (in the Hub) to become familiar and then see where you'd like to use it. Many thanks for commenting Alicia. I do so appreciate it. All of these recipes sound very tasty, GoodLady. Balsamic vinegar is definitely an ingredient that I want to explore, and making these flavorful dishes will be a great way to do that. I love the sound of them all, especially the baked beetroot and potato dish. Thank you for the interesting information about balsamic vinegar, too. This is a 5 star hub! It's great in cooking, really wonderful and I hope that you will really enjoy it. Many thanks for voting. Appreciated. 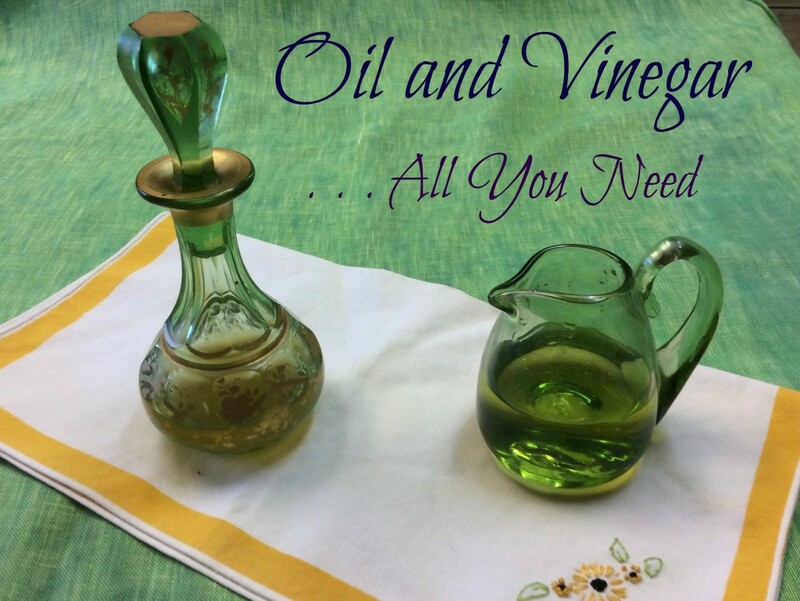 I have a bottle of Balsamic vinegar and use occasionally for salads..However I got a renewed interest reading this hub and will try some of your ideas. Voted UP. 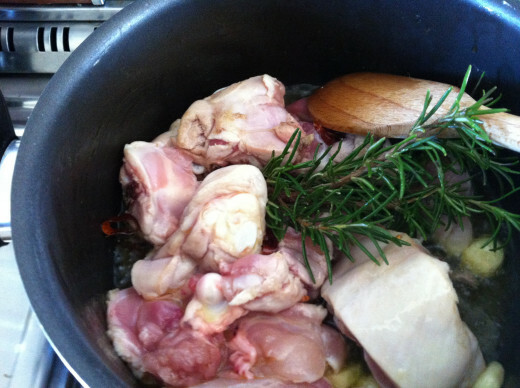 It's very simple to make, try to find free range chicken which I need to add to the article. Penelope, these look great. Love balsamic vinegar. The Cacciatori looks really good, will have to give this a try. Thanks for sharing. VU, Sharing, etc..
Let me know how you enjoy the pollo! 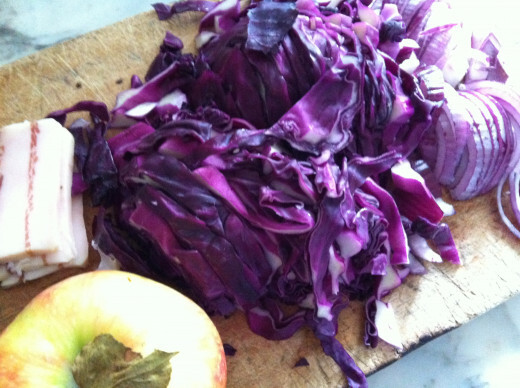 Cabbage and apple is OK, kind of sweet, so you might like it a lot! Thanks for dropping by chrissieklinger. I love balsamic vinegar so I can't wait to try the Polla alla Cacciatore. Not sure if I would like the cabbage and apples but I might give it a try! Great hub and always love your photos!